Greetings! I hope you are enjoying spring and looking forward to a great summer. This month I have chosen some exciting new work to share with you and am also happy to have had the opportunity to interview Richard Jolley and to feature a series of his work that I like very much. Please feel free to contact me with any comments or questions. KH: How did you first become interested in glass? 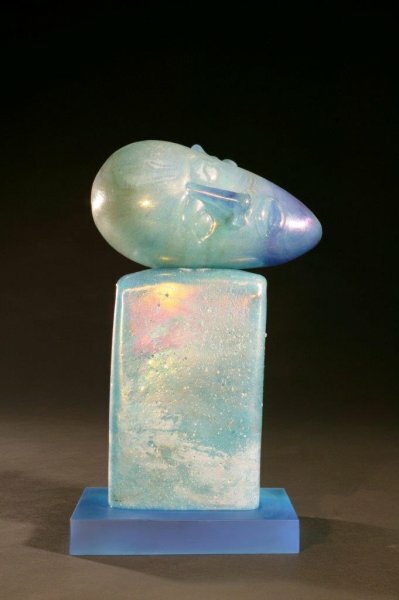 RJ: Michael Taylor started a program in glass at a small liberal arts college I was attending in the early 1970’s. 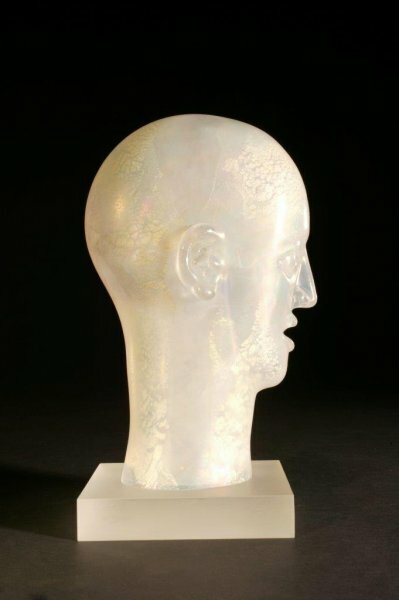 I was interested in Harvey Littleton’s intent to use glass as a non-traditional material for creating sculpture. 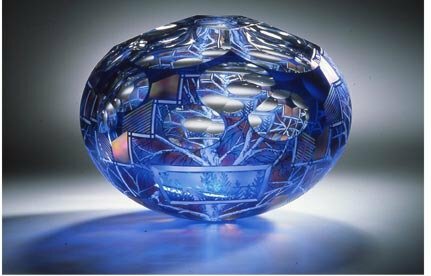 KH: You have had a full-time studio in 1975 which places you in the first generation of glass artists who left the academic environment to make glass art for a living. What major changes have you seen in the studio glass movement since that time? RJ: In the early days there was almost no information on how to use the material. Even the professors were blowing very primitive forms and everything was experimental. There was a great "can do" attitude among the early American artists working in glass and we learned mainly by trial and error, by doing rather than by studying. 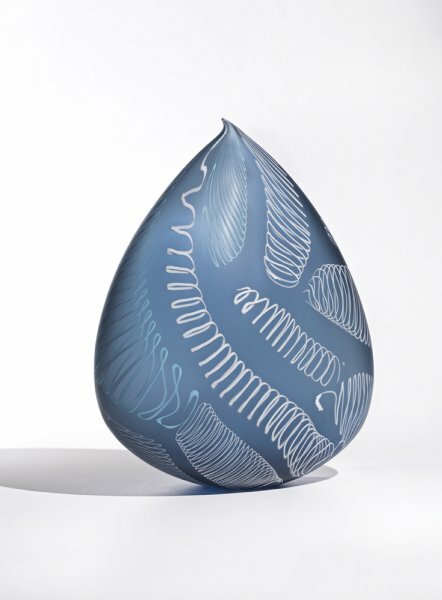 Dale Chihuly made a major contribution in introducing the concept of team work and then Lino Tagliapietra gave us the huge gift of sharing the age-old Murano techniques with the American artists. Our collective knowledge became much greater by doing. KH: What are you most proud of? RJ: I guess I’m most proud of the fact that I graduated from college aspiring to be an artist working in glass and that forty years later I’m still holding to that vision. KH: I remember that Lino was very honoring of you and your work in the preface of a catalog I saw for one of your exhibitions. Have you ever worked with the Maestro? RJ: I have not worked directly with Lino. 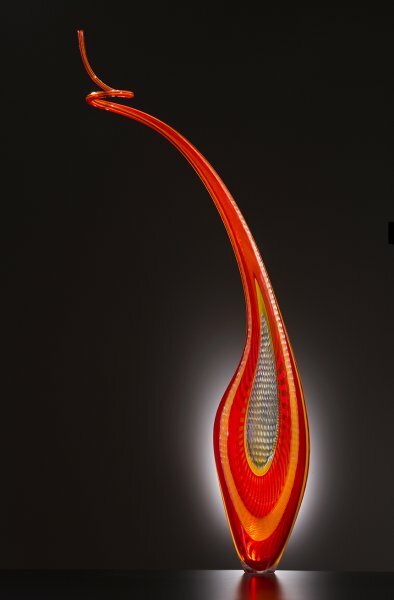 What I think he and other Murano maestros admire in my work is the technical proficiency I have gained through decades of making glass objects. I attribute any success that I have had in my artistic career to a combination of that expertise and my love for the narrative present in my work, for the ideas behind the pieces. 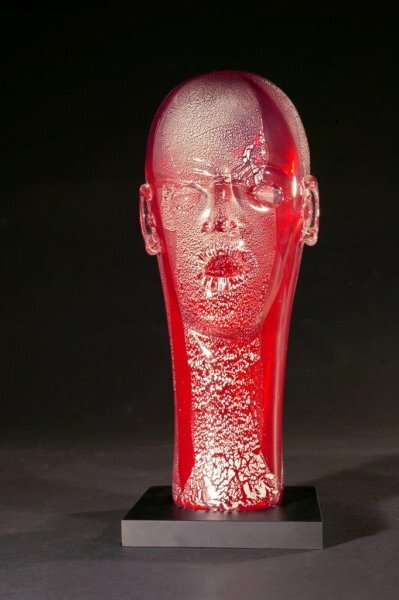 KH: Unlike some artists working in glass who have stuck pretty much to a particular style or "look" for many years, you have created many different series of work, some very different from others. RJ: My responsibility to my art and to my collectors is not to continue to create any particular series but to explore new ideas and to be true to what I am feeling and wanting to express right now. I am most interested in what I have not yet made! This is a wonderful example of Lino’s iconic "Dinosaur" series. The form is elegant. The beautiful palette of colors, the cane work and the surface etching work together to create yet another masterpiece by the Maestro.. 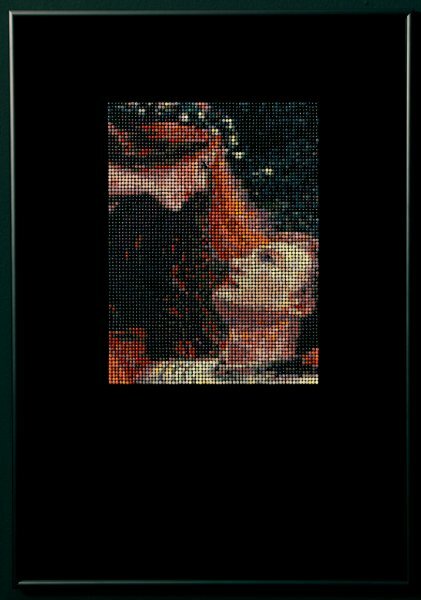 I am so happy to be able to feature Veruska Vagen’s latest creation in glass dots. Here she has captured perfectly the feeling and intensity of this romantic painting by the English Victorian painter, Frank Dicksee, in which the knight stands enchanted looking up into the eyes of La Belle Dame. The subject of the original painting was inspired by an earlier poem by Keats. This new piece by Nancy Callan is a fairly dramatic departure from the "Top" and "Cloud" series that I normally feature. I love the subtle blue color and the white spirals that seem to float randomly across the surface. Nancy says that this piece "has a silky smooth hand-sanded surface that really glows." 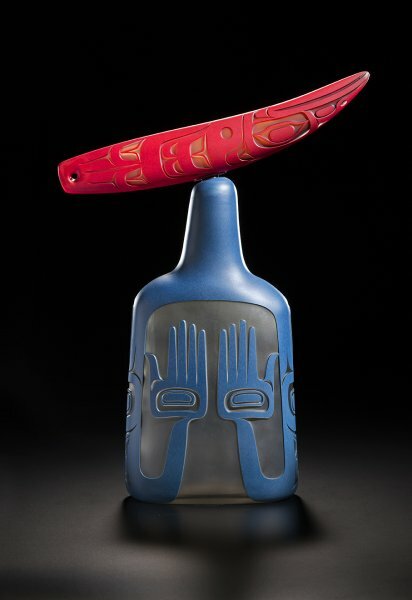 This is an earlier piece by glass artist David Schwarz. As in all of Schwarz’s works, this piece has surface etching which creates a sense that the designs are almost dancing around on the interior of the piece. Preston Singletary’s new piece, "Bear Man," is quite unique in several ways. To begin with, it is comprised of two separate pieces that fit together with a metal pin. Each piece has its own design and color. Finally, the back of the bottom part is totally different from the front (click HERE to see the opposite side and another new Singletary piece). I particularly love the depiction of the hands. I hope you have enjoyed this issue of Holsten Galleries News. Be well and stay in touch.